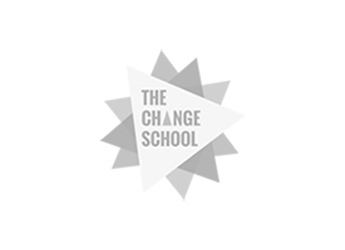 It’s the second day of our 21-day signature programme Change Ventures. We kicked off the morning with our daily Check-In ritual to share and discuss Today’s Quote, how everyone is feeling and taking 10mins for Daily Journaling with our Day Song (Lovely Day by Bill Withers) playing in the background for inspiration. We then asked students to think about their Vision and Top 3 Objectives for the 21 days and share with the larger group, bearing in mind that this may change and evolve over the course of their journey. All the students expressed feelings of contentment, gratitude and excitement for the journey ahead. Some students found visioning and goal-setting to be challenging at first - requiring more time to think, introspect and explore. Of the nine students present at this morning’s session (two more students will be arriving over the next two days), two shared that journaling was already a part of their daily practice. Having the students take time at the start of the day to check-in with eachother and themselves helped set expectations and appreciation for our Daily Practice. Daily Journaling enabled students to put thoughts, reflections, doodles and mental notes to paper, prompting key areas to further reflect on in their own time. Many students found comfort in knowing that there is no set way to approach journaling; their entries were for their eyes only and didn’t have to be shared with others. Importantly, we reiterated that Daily Journaling is not the same as task setting. It’s important to remember (and be reminded) that the process of Visioning and Setting Objectives is an iterative processes: revisit, review, refine, repeat. Communities start with the gathering of like-minds bonded by common interests, goals and purpose.